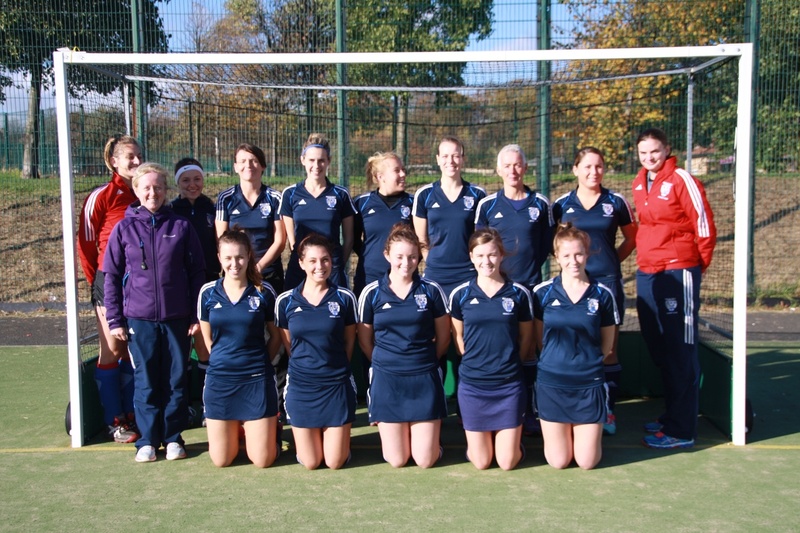 Whitley Bay and Tynemouth Ladies 2s had an early start in Ben Rhydding for their third game of the season. Following last week’s hard-fought win, the twelve-strong team were optimistic that they could build on this positive performance. This week fourteen year-old Hannah Matthews put in her first appearance for the Bay .After a rushed on-pitch warm up, which had been cut to 10 minutes due to previous match delays, Whitley Bay started tentatively. The first fifteen minutes saw them unable to get a hold on the game, as they hung onto the 0-0 score against an onslaught of Ben Rhydding pressure. Eventually Ben Rhydding converted, after the ball reached their right winger on the edge of the D, and she sent it into the crowded circle for a lucky jab over the line. Despite hard work from every player, Whitley Bay posed little threat to Ben Rhydding during the first half. A moment of defensive miscommunication enabled Ben Rhydding to strengthen their lead with their second goal of the game via an unmarked player on the far post. The score at half time was 0-2. Cath Pendlebury, this week’s manager, re-focused the team during the half-time talk, highlighting the need to focus on holding shape and working the press. Whitley Bay came back out looking like a new team, ready to put Ben Rhydding under pressure. With some textbook passages of possession, the Bay created their first real chances of the match. Their first short corner was nearly converted by unmarked injector Chloe Reid, who narrowly missed deflecting the back post strike past Ben Rhydding’s keeper. Later in the half there were further chances for a goal, but Whitely Bay were unable to make a mark on the scoreboard. Ben Rhydding, on the other hand, scored again from a well-oiled short corner routine, and were able to squeeze in one more goal before the whistle, making the final score 0-4. Although the second half score did not reflect the direction of play, Whitley Bay’s players finished the match once again satisfied with their response to the half-time talk, and their high work rates but are aware that they must ensure they are more clinical in front of goal.